We will be holding open trials at The Graham Sports Centre, Maiden Castle, Stockton Road, Durham, DH1 3SE throughout June 2019. Our successful Regional Talent Club (RTC) has helped develop players throughout the clubs pathway. allowing the likes of Beth Hepple, Lauren Briggs and Zoe Ness to progress through to our senior section. 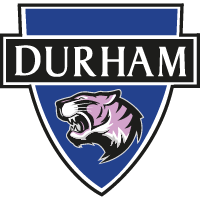 And now we're looking for the next intake of aspiring young footballers to become a part of Durham Women FC - starting with these open trials. Our UEFA and FA qualified coaching staff, along with our Medical and Sport specialist staff will be on hand throughout the trial process. 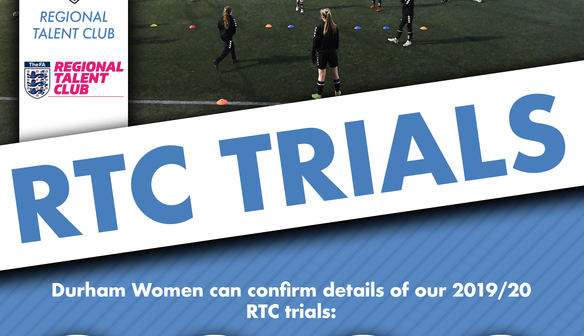 Please note that we advise all triallists to attend all trial dates in order to give players the best possible chance of gaining a place within our RTC squads. All players trialing should be a eligible to play for England and be a British Citizen. Trials will be held on an artificial surface, so please bring appropriate footwear.